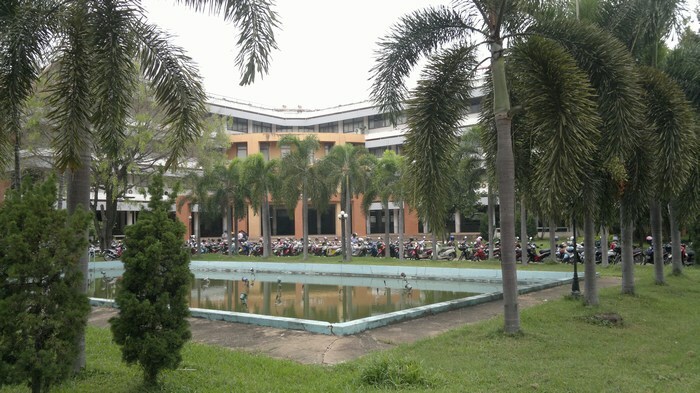 Rajamangala University of Technology Isan (RMUTI) is located across five provinces in the northeastern region of Thailand called Isan. 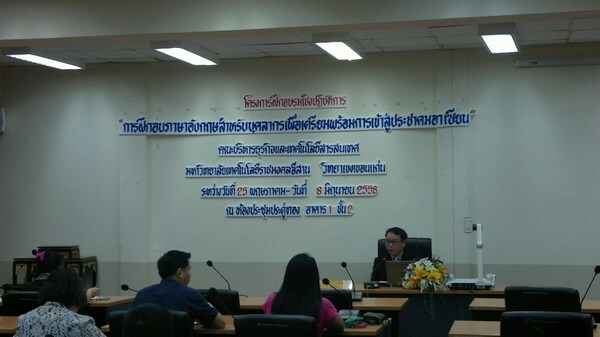 The five campuses in Khon Kaen, Nakhon Ratchasima, Surin, Kalasin and Sakon Nakhon have become industry leaders in the improvement of standards in vocational training over their very long history. Cooperation with public institutions and collaboration with local industry has enabled RMUTI to become experts in the practical implementation of technology and research as well as providing qualified skilled professionals and academic services to society. 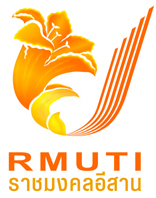 Rajamangala University of Technology Isan (RMUTI) has five campuses around the northeast of Thailand. As well as Khon Kaen, there are also campuses in Kalasin, Sakon Nakhon, Surin and the main campus in Nakhon Ratchasima. 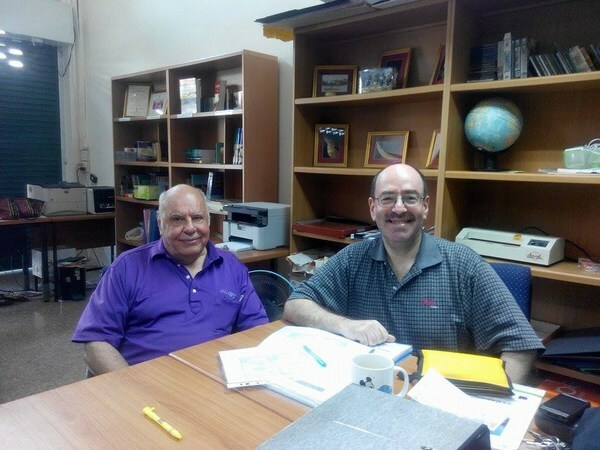 Students of RMUTI who study with me can find their previous lessons contained here. 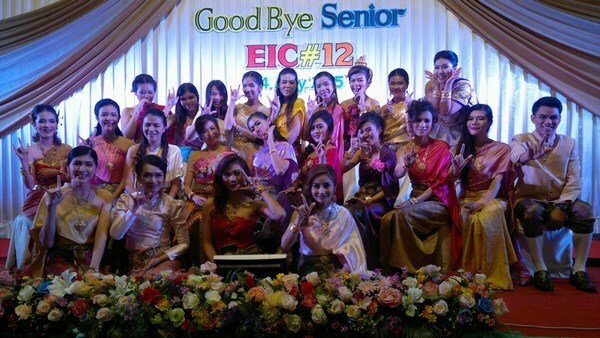 Faculty and students gathered at the Charoen Thani Hotel in Khon Kaen to congratulate our senior students on their graduation. The evening was very entertaining and especially emotional for some of our students as they said goodbye and looked to the future and what it will hold for them. A mixture of singing, dancing, speeches and good food meant that the evening was a great success. Always a good conference and this year was no different. Many good presentations with the added bonus of good feedback for my talk concerning 'Materials Writing and the Teacher'. 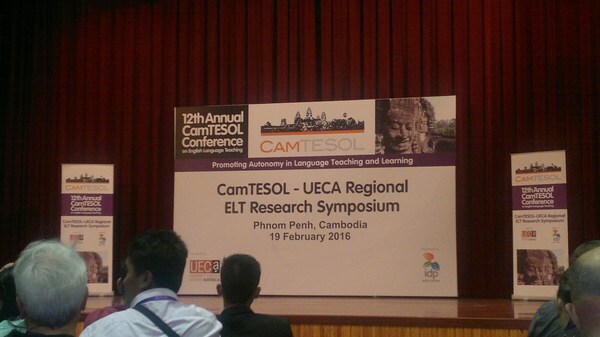 From now on, I think that my presentations for Cambodia and Laos need to be aimed at the provincial teachers that are attending. I encourage others to do likewise. I was able to present my doctoral studies to like-minded researchers in order to obtain feedback and encouragement for what I am doing. I found this to be very useful and the whole experience was extremely motivating due to the positive feedback provided. There were also some good presentations to listen to with researchers who are also doing everything they can to save the world, just like me! Looking forward to next year. Always a pleasure to attend this conference. 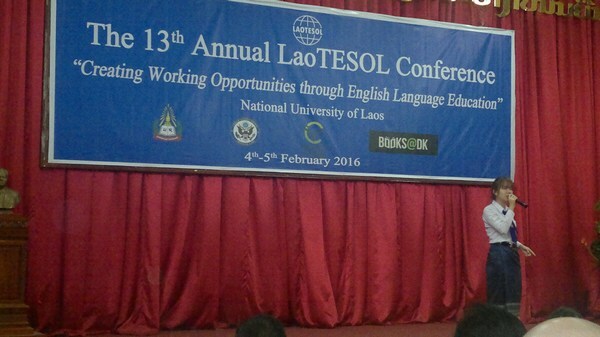 My presentation was 'Materials Development for Laos Teachers of English: A Journey.' The idea was to motivate and empower the provincial teachers to create their own materials, either individually or with colleagues and share them with like-minded teachers and friends. I used examples from my own journey and challenged the audience to try it for themselves. Many thanks to Book Access and MM Publications for giving me the opportunity to add another 'string to my bow'. This presentation was of the IELTS Practice Tests book by MM publications which provides five complete tests (four academic and one general) for students to use in their class, but more importantly for self-study. 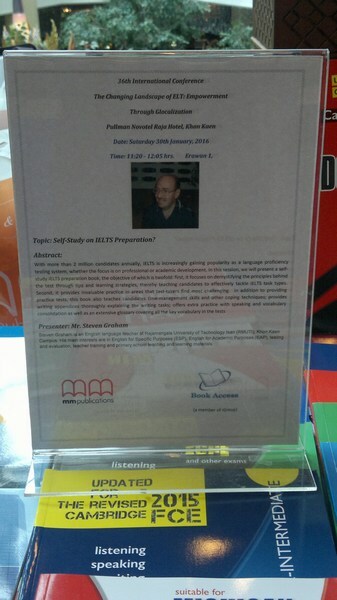 That was the essence of my presentation; how to use the book for self-study. Once again, many thanks to Book Access and MM Publications for sponsoring my trip. 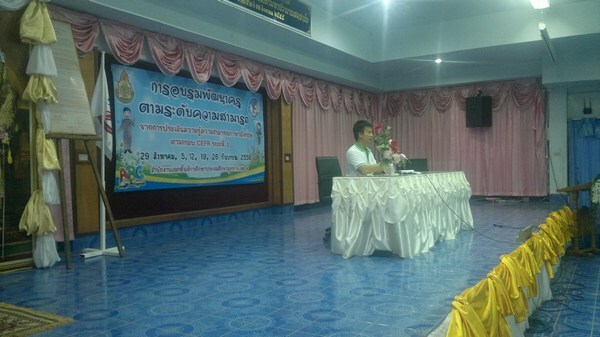 This conference involved two presentations using materials supplied by my sponsors. The first presentation was 'Teaching Adolescents: Turning a Challenge into an Opportunity'. This was followed by 'Self-study on IELTS Preparation'. It is always good when publishers are concerned about the welfare of teachers and consider the teachers' needs more than the selling of books. I believe that we were able to create the right balance. The teachers seemed to think so judging by the feedback. 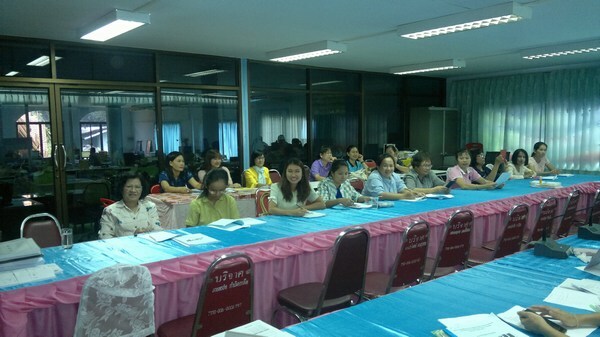 Final day of CEFR English language training for Thai teachers of English. Supervisor Channarong Rachbuanoy worked very hard to ensure that everything has progressed smoothly during the last few weeks and it is to his credit that this training has been such a success. I look forward to working with him again on similar projects in the future. Great to meet old friends again and to spend the day teacher training at Area 4 in Ban Phue, Udon Thani at the Primary Education Office. Today we conducted listening activities and concentrated on how to listen to small and larger pieces of text. What I like about this type of training is the enthusiasm shown by the teachers taking part and the great sense of humour that can be shared by everyone, whatever their cultural background. 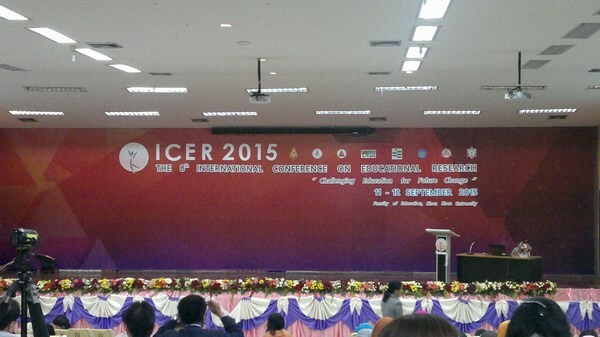 Presented my paper at the latest ICER Conference at the Education Faculty at Khon Kaen University. The paper was titled, "Kreng-jai Knowingly Undermines Individual Creativity" which seemed to go down quite well with the audience, although one lady was not too happy with my definitions of 'Kreng-jai' and the reference I made to the 'Kalamas Sutta'. That being said, having a healthy debate is what it is all about. 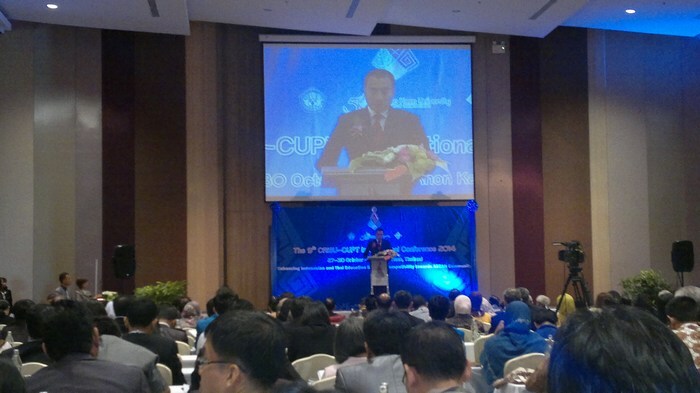 Many thanks to Rajamangala University of Technology Isan, Khon Kaen Campus for allowing me to attend the conference. The first of many weekends with Thai teachers of English from Area 4. 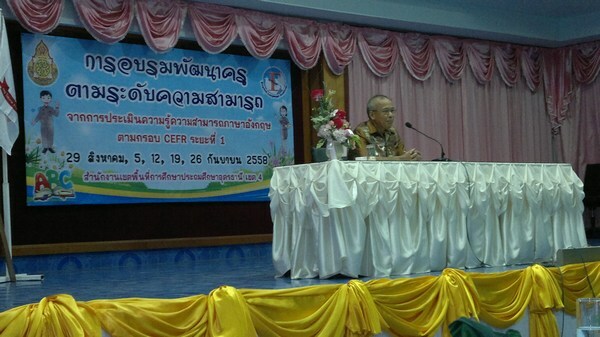 Once again, Rajamangala University of Technology Isan have been supportive in my efforts to help out at the latest CEFR training that has been implemented across Thailand at this time. By their own admission, the teachers find listening very difficult, especially when there are long passages to listen to; however, by cutting these into smaller pieces, the participant were able to understand much more than when they started. In addition, there was always a sense of humour during their struggles which made the experience very enjoyable, especially for me. Well done to everyone concerned and a special thank you to those behind the scenes for making everything run so smoothly. 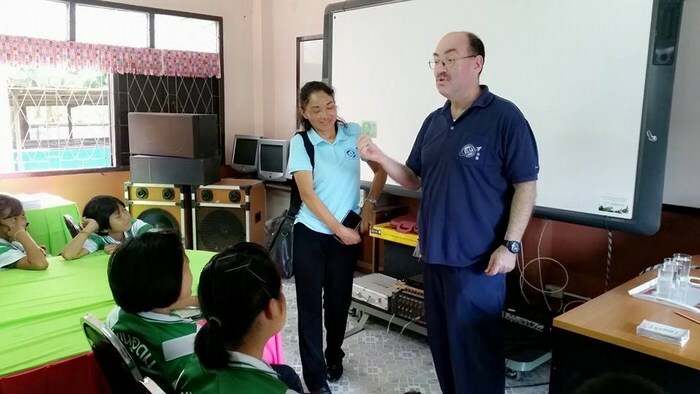 Rajamangala University of Technology Isan, Khon Kaen Campus conducted an English Camp at Baan Sai Moon School in Khon Kaen as part of an ongoing community service initiative to help local schools in Khon Kaen with their English language training. Three stations were completed in the morning at the school, with a further three stations taking place at the nearby King Cobra Village in the afternoon. The training was provided by students from the English for International Communication program, under the watchful eyes of members of the faculty. After the training, teachers and students enjoyed the show that was provided which included dancing and 'snake-boxing'. A great day was had by all. 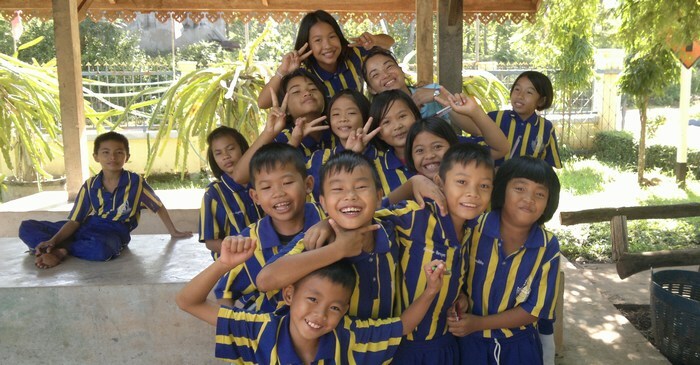 Being a teacher in Thailand is more than just lesson plans and grading papers. One of the things that really sticks in my mind is that many Thai students are crying out for love and attention, which does make me wonder whether the stories of tight family units across the country are in fact true. Maybe, it's just that they think so much of their teachers, they just want to show it. Thursday afternoon was spent inputting all the students' codes for the new year of data collection before we can use this computer system for the coming year. Due to logistical problems, this mean't dismantling all the equipment and moving it to the safety of the Udon Education Foundation (UEF) offices and then taking it back to Bantatprachanukoon School in Ban Phue district, Udon Thani and setting it up again the following day. Many thanks to Rajamangala University of Technology Isan, Khon Kaen Campus for allowing me the opportunity to conduct this work. All the effort was rewarded by seeing the students using the equipment once we had set it up. What was especially pleasing was to see the Prathom 4 students use the computers as this was the first time they had attempted this activity. Some of the students were really quick in picking it up. I really enjoy these types of activity because you get to meet people you would not normally get the opportunity to meet whilst learning English during the summer break (sic). The participants are very active and ask many questions which is all you need to have a successful English language course. 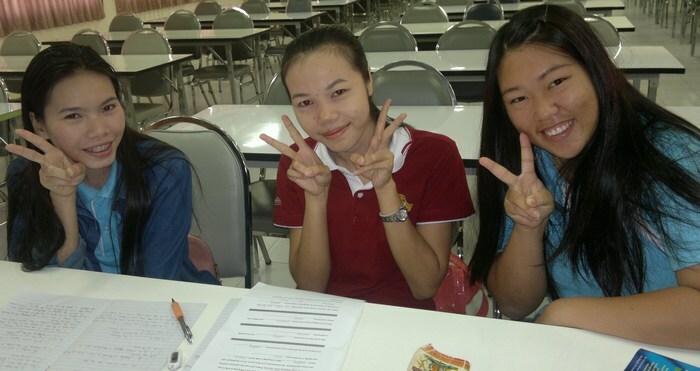 A very good example for our students at Rajamangala University of Technology Isan, Khon Kaen Campus to follow. The role-plays were really funny and everyone took an active part in all the activities that were taking place. 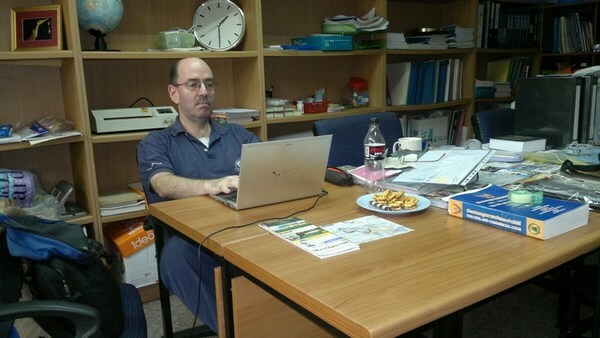 Finalising the Smooth Transitions selections and making sure that the computer server and clients are working. The adverse climate that our computers are supposed to work under have been taking its toll on our hardware. For some time now, the server has been playing up. Hopefully, everything will be in working order when we start using the computers again next month. In the meantime, there is a large amount of administration to do as students have all moved up a class, we also have one new class of students (Prathom 4) and we have to re-input everyone with new passwords sometime soon. I have to go to the passport office in Bangkok next Friday, which doesn't help matters. It will soon be time for a new semester of basic education and the planning and preparation goes on in earnest to prepare computers, timetables and paperwork for the coming weeks. With the support of Rajamangala University of Technology Isan, Khon Kaen Campus, I have been given permission to carry on working with Udon Education Foundation (UEF) providing extra English classes for Bantatprachanukoon School in Ban Phue district, Udon Thani under the watchful eye of Udon Thani Primary Education Area Office 4. This mixture of research and community service has been taking place for over seven years and long may it continue. 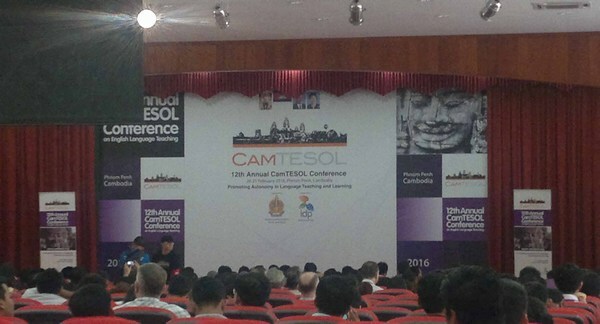 Another great conference in Cambodia, there really isn't any excuse for the Thailand not to be aiming to have an annual conference of the same quality. Very informative presentations and very effective management of the conference at all levels. 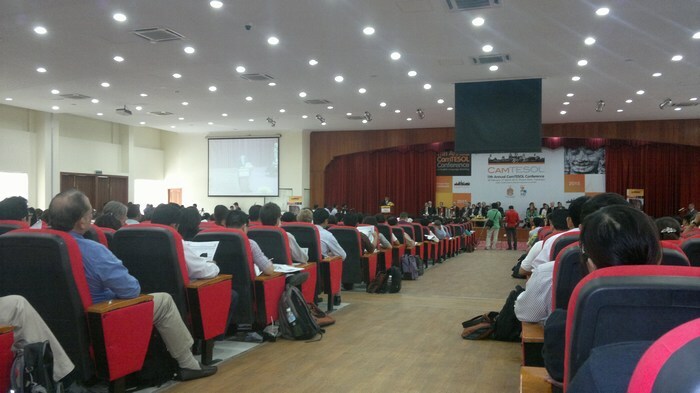 The theme this year was, 'Building Skills for Regional Cooperation and Mobility' with approximately 1700 attendees, showing the amount of interest this conference generates. Well done to all involved and thanks to Rajamangala University of Technology for giving me permission to attend and present my paper. This was the opportunity to elect new board members and to re-shuffle existing positions within UEF, something that is required by law. I now have the illustrious title of Chairman. We are very happy to welcome three school directors from Udon Thani Education Area 4 to be part of Udon Education Foundation, who will be able to guide us in the local ways in which education is conducted in the Isan region. The three school directors are: Mr.Somkiat Untow, Director of Non Udom School, Mr. Akom Seepimsor, Director of Haisok School (not in picture), Mrs. Chadakorn Bunlengrom, Director of Nakam School. In addition, Mrs Saengthian Lord (not in picture) has also joined the board. 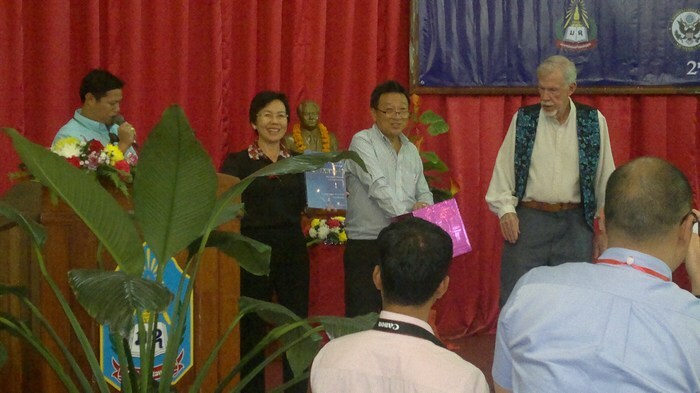 The conference was titled, "Empowering the Regional and International Links through Improving English Language Education" and was held in Dong Dok Campus at the NUOL Conference Hall for two days. 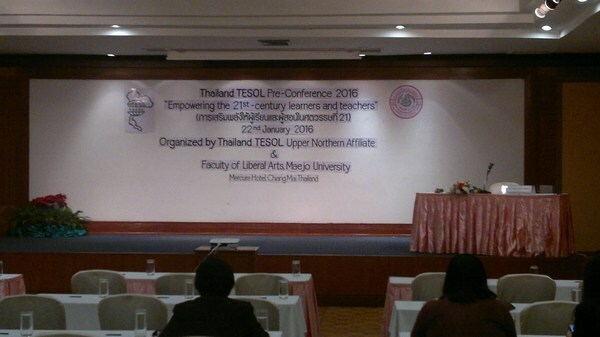 Rajamangala University of Technology Isan (RMUTI) very kindly allowed me to attend this conference and present a paper, "English for Communication in Multicultural Societies: An Example." Collaboration between universities and countries enhances relationships and sharing our ideas and experiences over the two days was extremely constructive and enjoyable. I look forward to next year when I hope I will be able to visit again, but this time spend some time in the rural schools as part of the ongoing RMUTI community service programs. We had a problem with our server, so we were not able to conduct the speech recognition exercises with our students today. 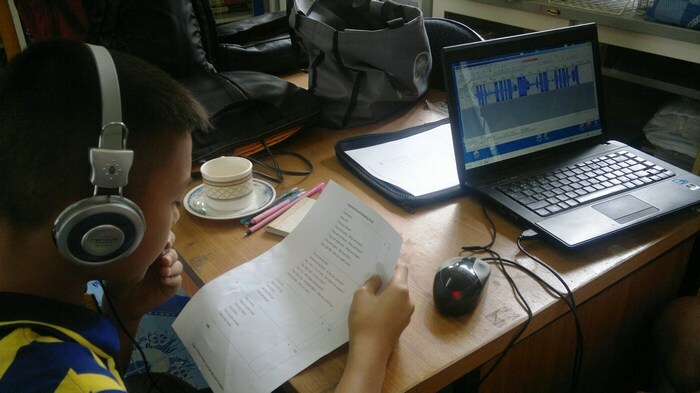 Plan B involved recording the students' voices after they had practiced using Smooth Transitions DVD dialogues in order to help with the development of new speech recognition software that we are producing for the benefit of primary education in northeastern Thailand. Never miss an opportunity and always make something positive out of a negative. This time the students were third year chemistry students which reminded me of all the Chemistry 3/9 classes I taught when I was working at the Language Centre back in the day. What was particularly pleasing was that this class was able to solve the critical thinking problems I set them, which really surprised me because no class has done this since I started using the questions more than ten years ago. Brought tears to my eyes! A great weekend was spent with the chemistry students from the Science Faculty at UDRU. Subjects covered included presentations, simple experiments and problem solving which they managed to complete with ease. 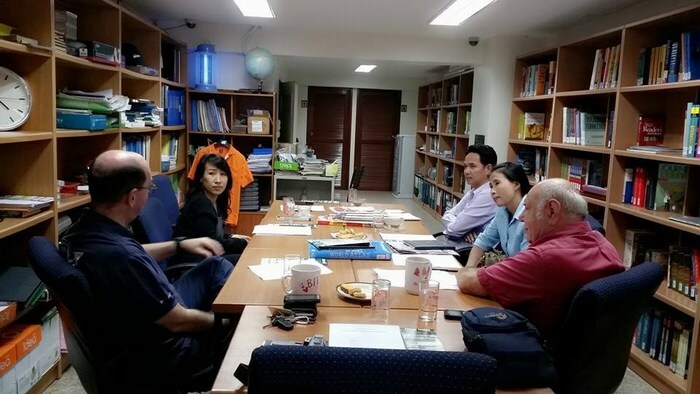 They were very enthusiastic and helpful during my time there which bodes well for the future when Rajamangala University of Technology Isan (RMUTI) are asked again to assist with English language training. Every Friday, I am permitted by Rajamangala University of Technology Isan (RMUTI), Khon Kaen Campus to conduct research at Bantatprachanukoon School, where we are working with students from grades four, five and six to improve their English. 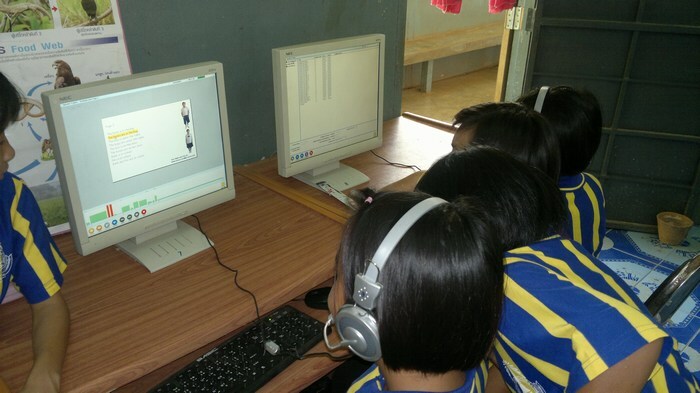 In conjunction with Udon Education Foundation (UEF), the students use video clips, comics and speech recognition software to practice their English language skills. Unfortunately, this time we were not able to use the computers for the full allocated time due to another power cut. Once more, Rajamangala University of Technology Isan gave me their blessing, this time, to assist five schools in Udon Thani Primary Education Area Office 4 to take part in a pilot project of 'Sunshine Classics' English language materials. A short induction for the teachers was conducted before the students were let loose with their computers, tablets and mobile phones. A big thank you to TEEC - Online learning Solutions as well as the people at 'Sunshine Classics' for the chance for primary school children in Udon Thani to have access to these materials. 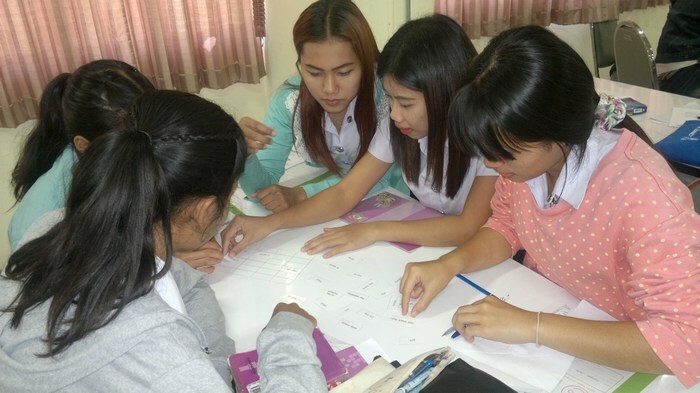 Rajamangala University of Technology Isan (RMUTI) is always happy to help in collaborations and community service and jumped at the chance with Udon Education Foundation (UEF) to provide English assistance to physics students in Udon Thani Rajabhat University (UDRU). The training was at the weekends as this was the only time it could be fitted in and lasted four weeks. Having completed a grueling three hours of academic English for Physics Students, the last hour was spent having conversations in English over some coffee and snacks. Four weeks of English language learning and also a great time, I couldn't have asked for more. Thanks to everyone from the Physics class, you were great. I wish you all success for your futures. 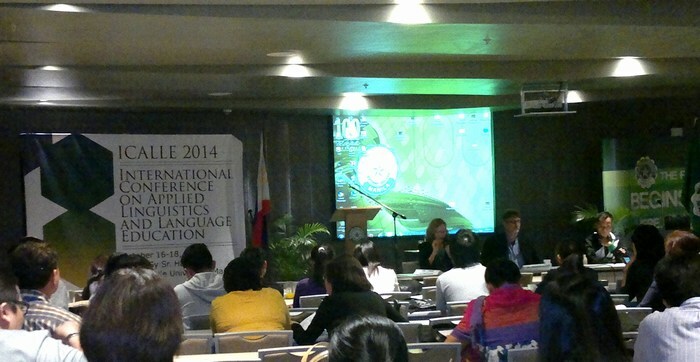 "External Quality Assurance 2014: What Effect does it have on the EFL Classroom?" Slowly but surely, External Quality Assurance (EQA) has changed the way that tertiary educational institutions think about Quality Assurance (QA). Rather than waiting for end of year or five-yearly reports to stimulate QA, Internal Quality Assurance (IQA) procedures have been introduced by many establishments in order to attain the required satisfactory QA grading. Similar to students seeking grades without understanding the value of the lessons they should be learning, some universities are more concerned with their QA grading than producing quality education for the students under their care. This paper looks back five years at the QA problems associated with English as a Foreign Language (EFL) classrooms in Thailand and makes a comparison with where we are today, discussing how short cuts and a lack of understanding when dealing with Key Performance Indicators (KPIs) can lead to short term success and long term failure for students, faculties, tertiary education and Thailand as a country. Suggestions are made for integrating quality into daily routine, taking into account culture, management and administrative considerations. 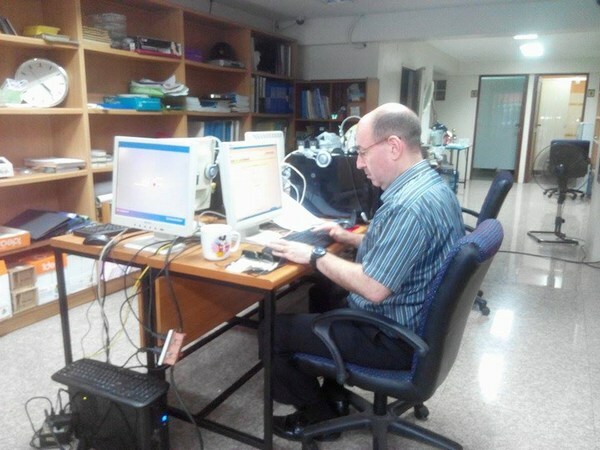 "Limitations to Applied Linguistics and Educational Research: Speech Recognition Software"
Speech recognition software is one of the many innovations breaking onto the applied linguistics and English language education scene as part of the practical application of research to the ELT classroom. 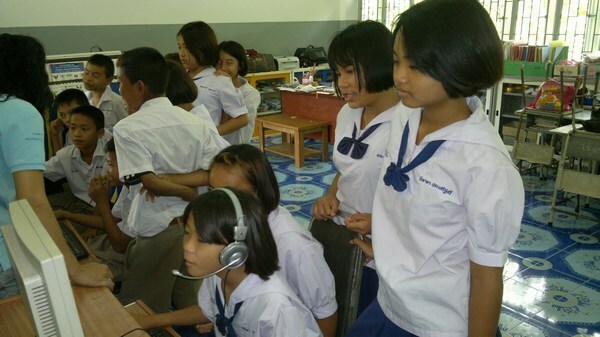 This paper looks at one particular research project in northeastern Thailand which has tried to use this new computerized learning tool to give primary school students in a rural setting the opportunity to practice their reading and pronunciation skills. During the course of this investigation, several serious issues were unearthed in the design of the chosen software. This situation has illustrated how the application of research in the areas of linguistics and language education can be at the mercy of commercial companies when there is no direct involvement with the software designers. Whilst software is designed with the best knowledge of the target audience in mind, sometimes it falls far short due to the lack of actual involvement in the field during construction. As a result, implications for further research, classroom pedagogy and the use of speech recognition software are discussed. What are you supposed to do when there is a power cut and the students are in the middle of their speech recognition activities on their computers? Go outside! Always happy to help out when a school director asks for some English language training for their students. I have only been at RMUTI for a week and they have already been very supportive toward my community service activities. A big thank you for everyone at Ban Non Udom School for participating so well and making us feel so welcome.